Congratulations to Nikki Julian McKeon, October's Bride of the Month! 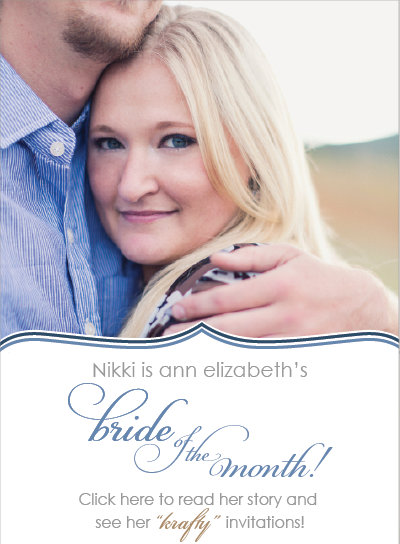 We’d like to send a giant congratulations to Nikki McKeon, our Bride of the Month for October! We can’t say how much we enjoyed working with Nikki to make her dream invitations come to life. She was so much fun to work with, and we can’t say enough good things about her. You’ll want to take a look at her feature over on our website if you haven’t already! Her invitations are the perfect combination of down-home fun and classy all at once.